An inspiring in - depth look at the nineteenth - century Godman of India and Prophet of Harmony. Sri Ramakrishna, one of the greatest spiritual personalities of our time, is widely recognized as the Prophet of the Harmony of Religions. After perfecting the practice of several religions - including Christianity, Islam and various traditions of Hinduism - he declared, "As many faiths, so many paths." 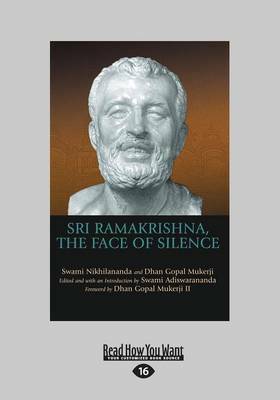 For the first time, two classic biographies - Dhan Gopal Mukerji's The Face of Silence (1926) and Swami Nikhilananda's Sri Ramakrishna (1942) - are brought together to provide a fuller understanding of the life and spiritual significance of Sri Ramakrishna as well as the systems of Indian religious thought intimately connected with him. Pairing legend with fact, memory with history, this unique volume - including an Introduction to Sri Ramakrishna's God - consciousness by Swami Adiswarananda - succeeds in intimately examining the teachings of Sri Ramakrishna and conveying the true story of this great mystic, whose leaping flame of spiritual realization continues to influence the modern spiritual search.